Tourist Visas Overview » Orchid of Siam - UK Visas for Thai Nationals, Appeals Tribunal Help/Advocacy, Immigration Law Advice, Bangkok & Epsom Offices. We offer a full visa service with friendly, initial advice or visa assessment available 9am-6pm Monday-Friday in the UK by telephone, E-mail or through our online forms. Please do not hesitate to contact us. Please see our Thailand Offices page for details of how to contact us in Thailand and our opening hours. Throughout the process the sponsor in the UK has our Epsom office to assist him in any necessary manner and the applicants in Thailand have our Bangkok office to assist them. A UK TOURIST VISA allows the person to remain in the country for a limited period and with no permission to work or study. At the end of the stay the person must leave the country. A FAMILY VISIT VISA is essentially the same as a tourist visa but with the specific purpose of visiting a close family member for a limited time, this may be a husband or wife. A Thai national on a tourist visa in the UK is NOT entitled to free NHS treatment even if they are the spouse of a British national. It is worthwhile considering taking out medical insurance although this is not a compulsory part of the visa application. A tourist visa will be issued if the Embassy are satisfied that the applicant is coming to the UK for a period not exceeding six months, intends to leave at the end of their visit, does not intend to work, can be adequately accommodated and maintained and has the means and reasons to return home. A tourist visa is normally valid for six months from the date it is issued by the Embassy, NOT six months from the date of entry into the UK. If your travel plans are made well in advance the Embassy can forward date the visa by up to three months. A tourist visa allows multiple entries to the UK during the period of its validity. The Embassy will ask the applicant how long they intend to remain in the UK. If the answer is ‘one month’ they will still normally issue a six month visa. If the applicant stays longer than a month this may jeopardise any future visa applications. Although there are tourist visas that can be granted for up to 10 years these are for special classes of people, for example business travelers, and in no circumstances can people on a tourist visa remain in the UK for more than six months in any twelve month period. There is no automatic right of appeal for a tourist visa refusal except in rare instances. 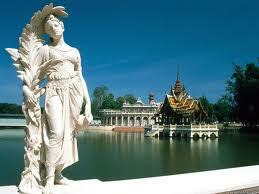 We often arrange tourist visas for Thai ladies visiting their boyfriends in the UK. Applications are generally completed and decided within four weeks of instructing us. Generally an interview will be required for most tourist visa applications and this is often done by means of an unexpected telephone call from the British Embassy. If a formal interview is required it can take about two months to arrange. We prepare the applicant for this by supplying the answers to the most commonly asked questions. Sponsors are not permitted to attend a formal Embassy interview and will be refused admittance. In all cases the Embassy will return all the documentation submitted in support of the application to the visa applicant along with their passport and the outcome of the request only if photocopies of the original documents were supplied at the time of submission of the application.